Here comes LTQ Vapor Lock CBD Atomizer with 1ml e-juice capacity. It adopts Q1 oil-lock design for you to easy operate the device. 1.2ohm ceramic coil will produce the purest flavor and biggest cloud for you. 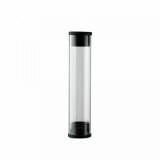 Moreover, by the bottom air flow system, it will enhance the flavor for your taste. Here comes LTQ Vapor Lock CBD Atomizer with 1ml e-juice capacity. You can find an oil hole on the tube. It adopts Q1 oil-lock design for you to easy operate the device. 1.2ohm ceramic coil will produce the purest flavor and biggest cloud for you. Moreover, by the bottom air flow system, it will enhance the flavor for your taste. 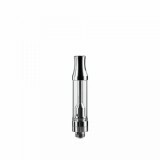 It is compatible with most 510 thread MODs and Batteries. Come and buy one LTQ Vapor Lock CBD Atomizer for your vaping.